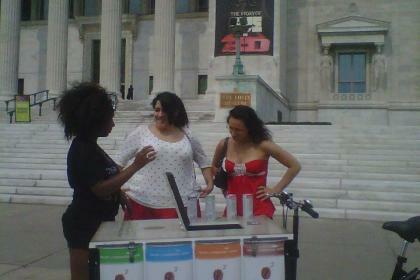 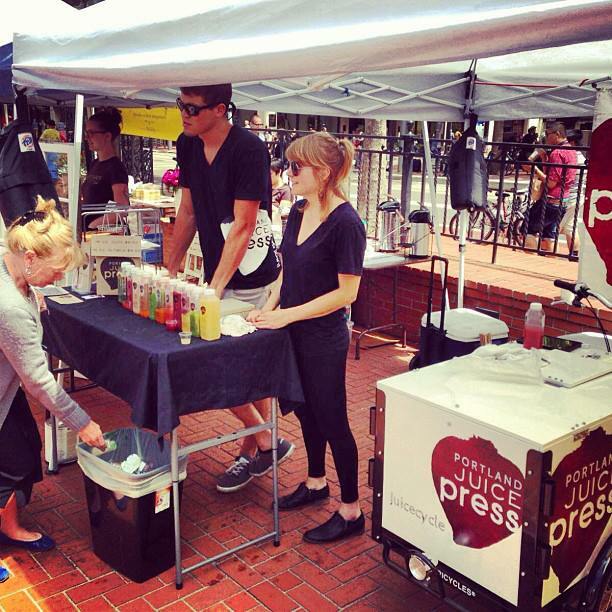 Mobile juice bars for sale! 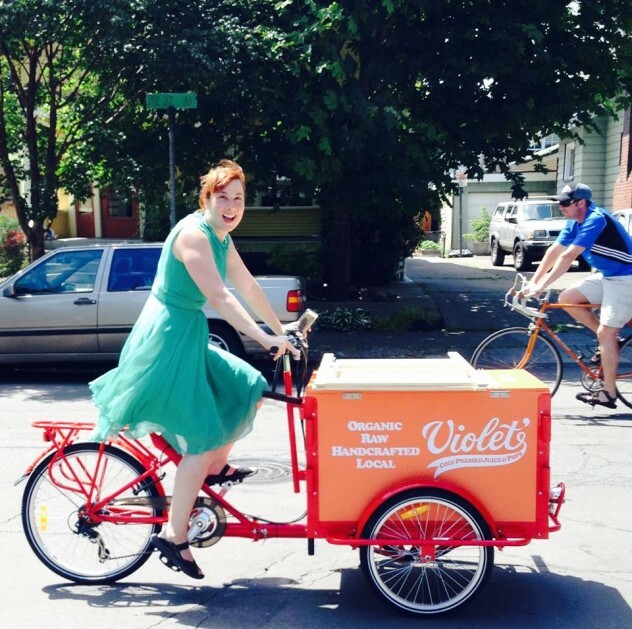 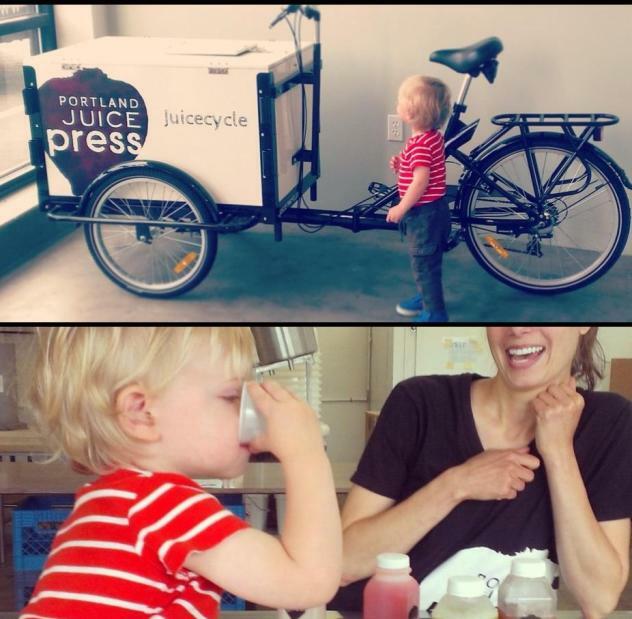 Icicle Tricycles custom builds mobile juice bars – juice bikes! 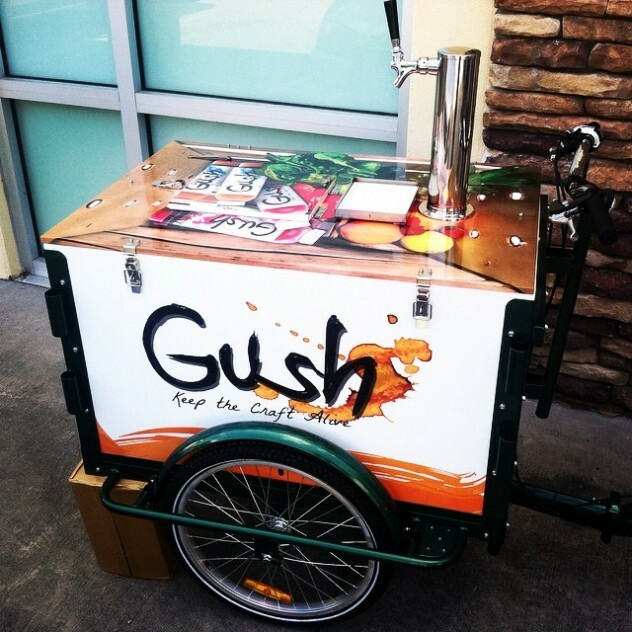 Hand-built mobile beverage bar business solutions. 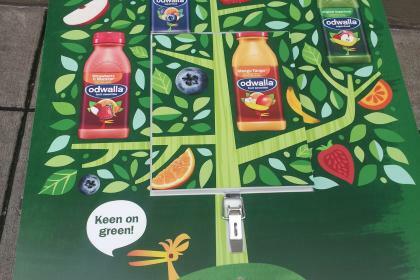 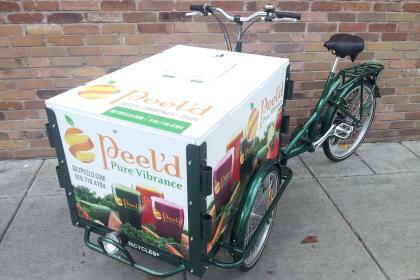 Excellent for the vending and distribution of fresh, cold pressed vegetable and fruit juice smoothies. 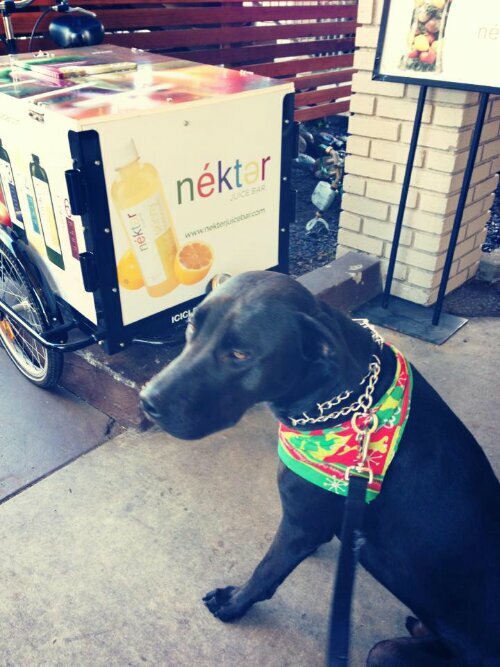 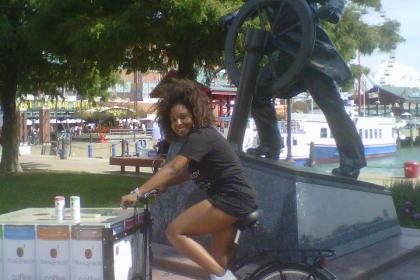 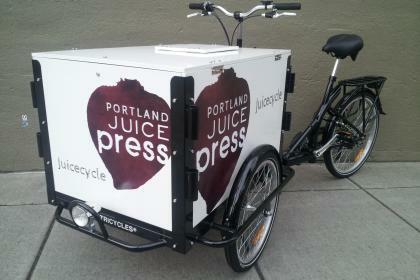 Either by the bottle or fresh from a tap, Icicle Tricycles has all your mobile juice bar bike needs covered! 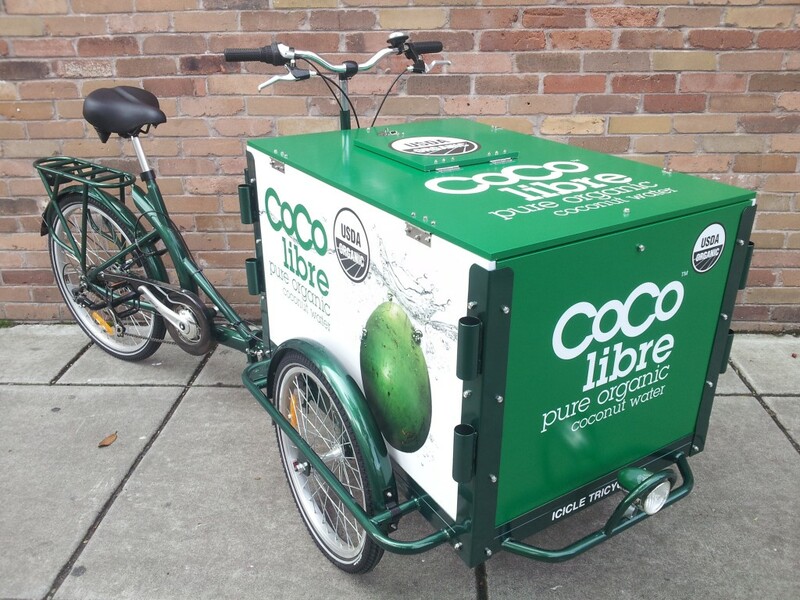 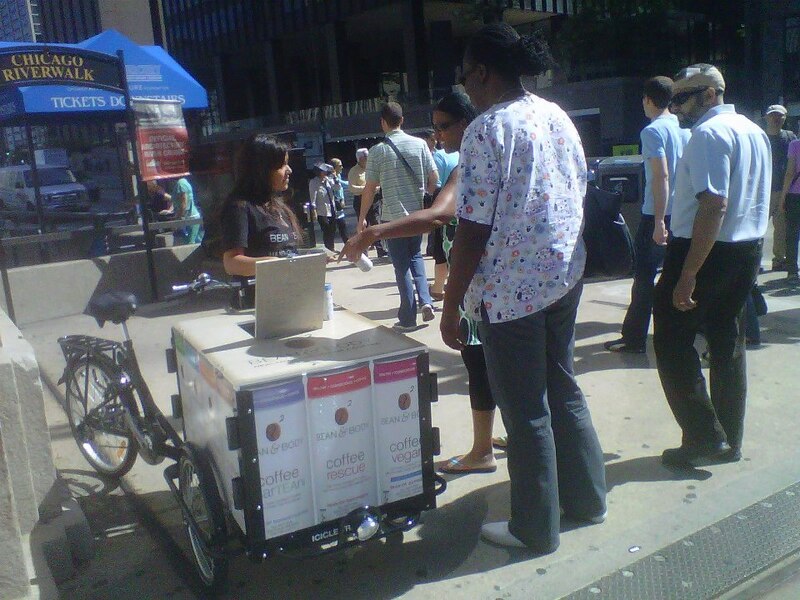 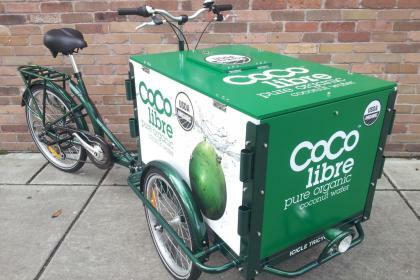 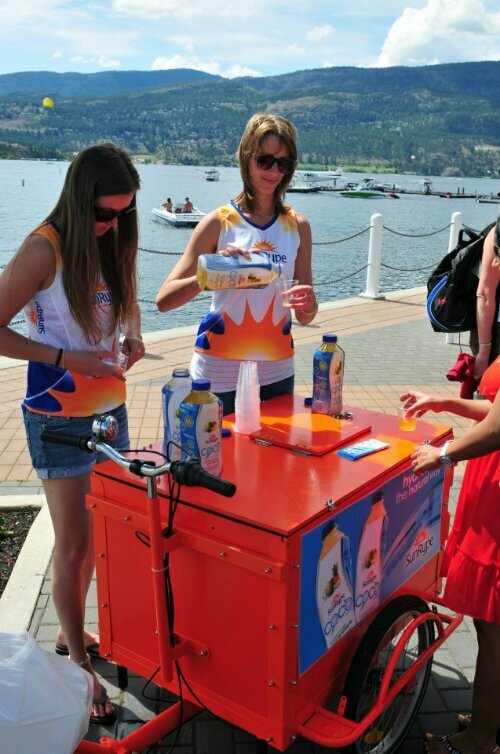 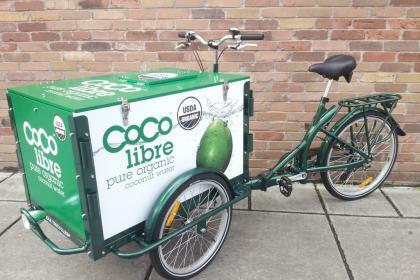 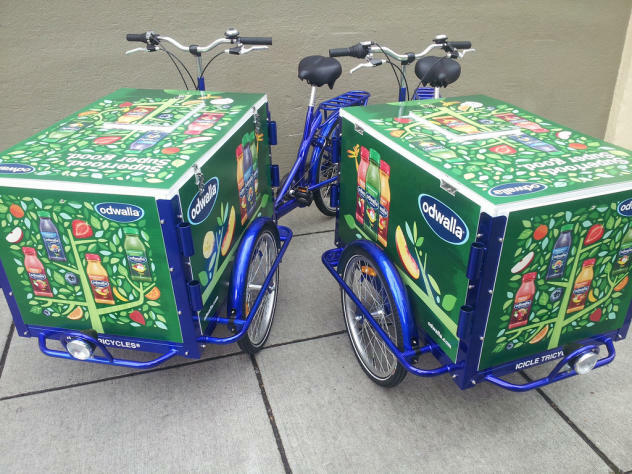 Whether you’re looking to operate a small scale mobile juice bar service, or to promote an existing line of juice product, an Icicle Tricycles Juice Bike is the perfect solution. 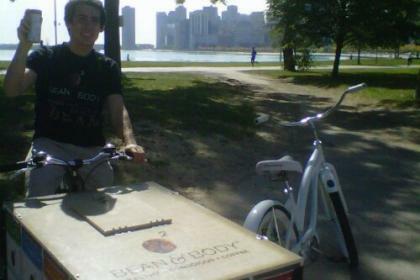 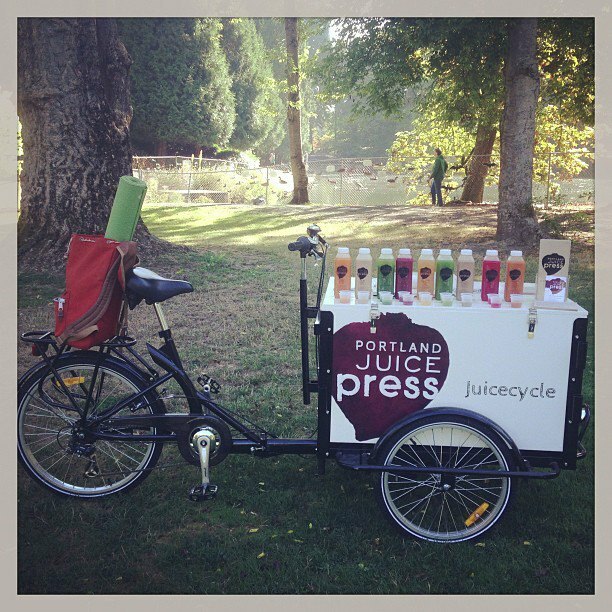 Your own pedal powered, mobile juice bar! 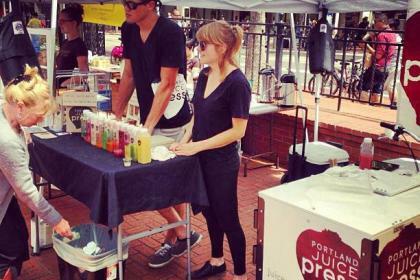 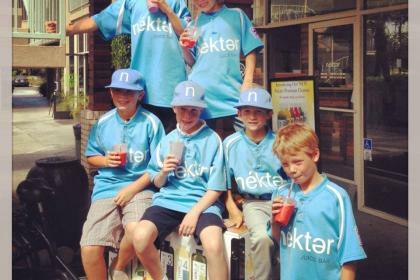 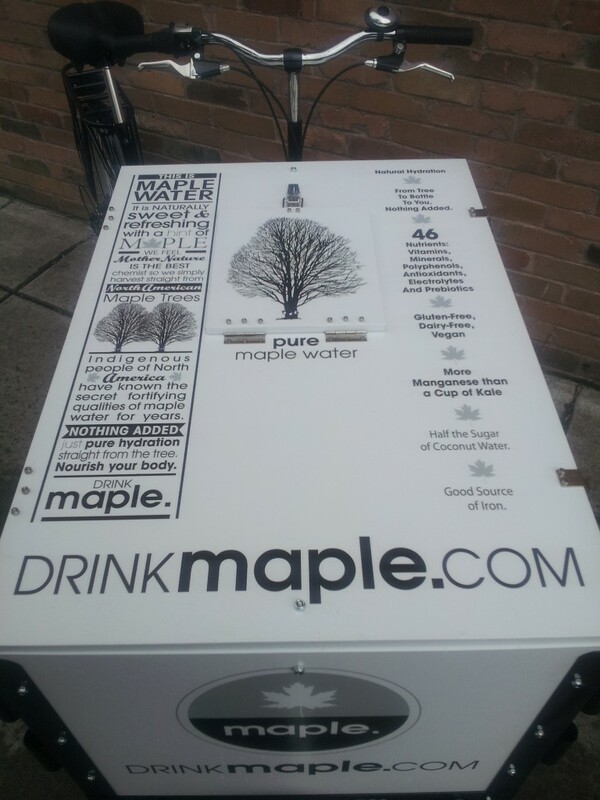 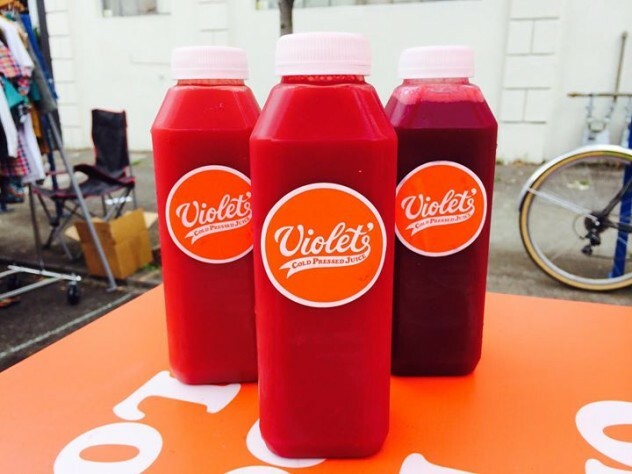 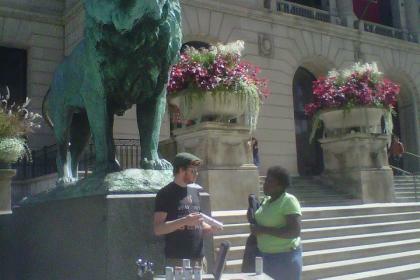 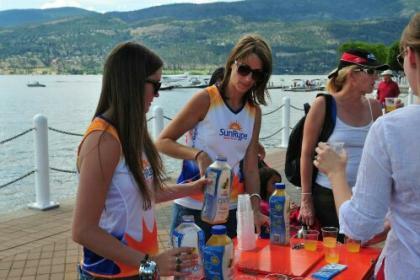 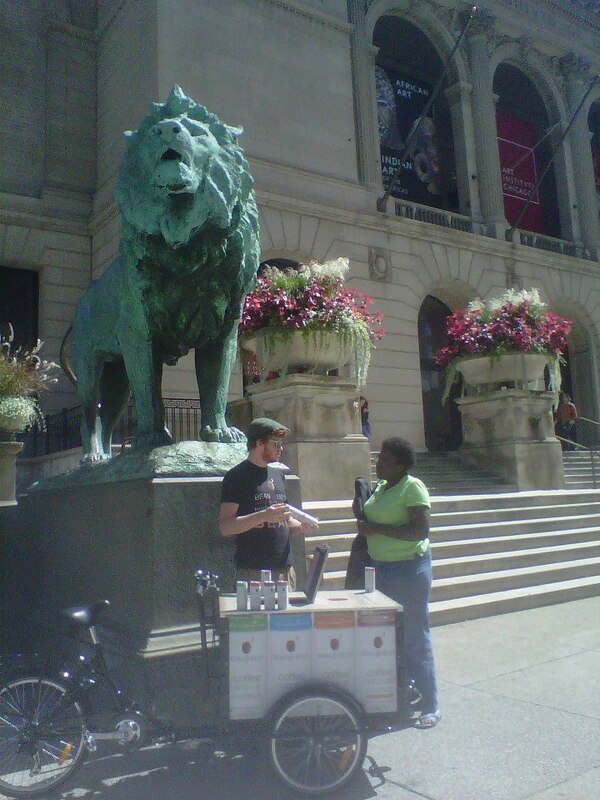 Market and sell juice at any location! 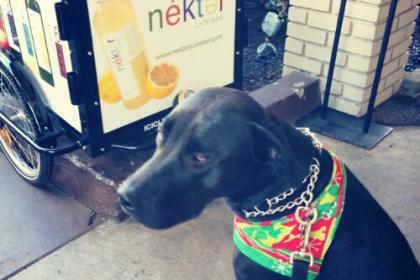 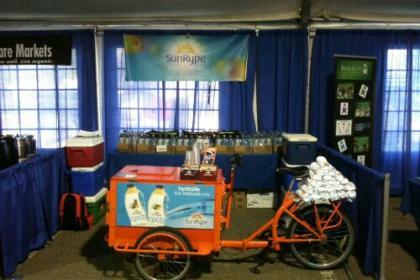 Great for farmers markets, fairs, tailgate parties, public parks, and other events. 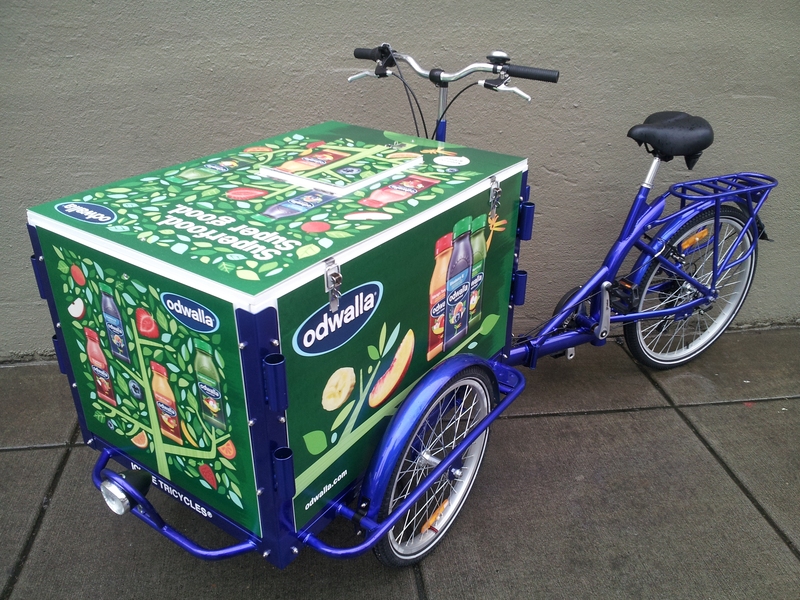 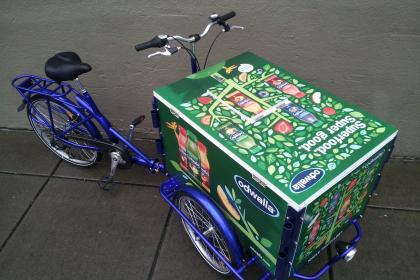 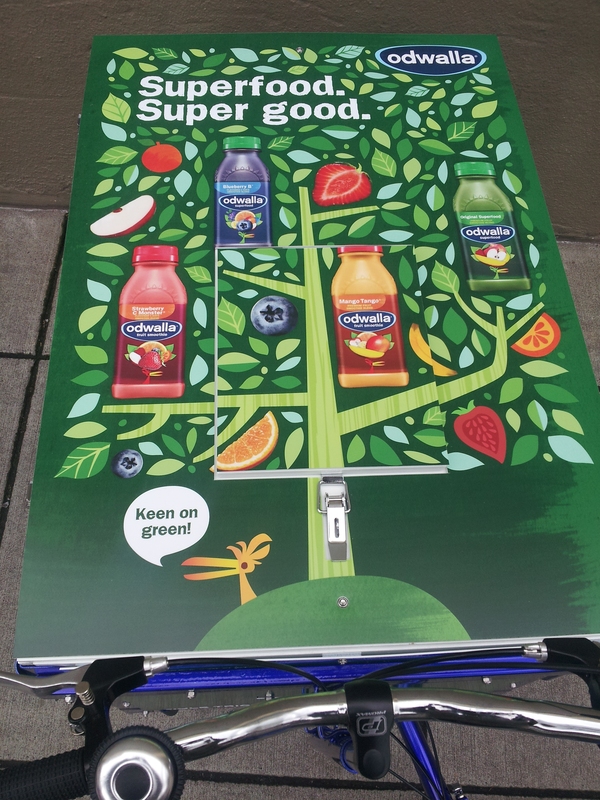 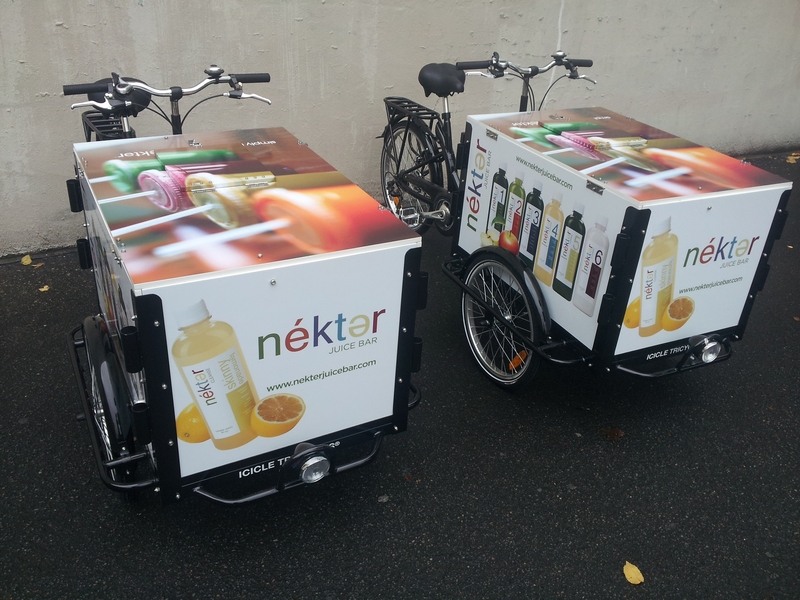 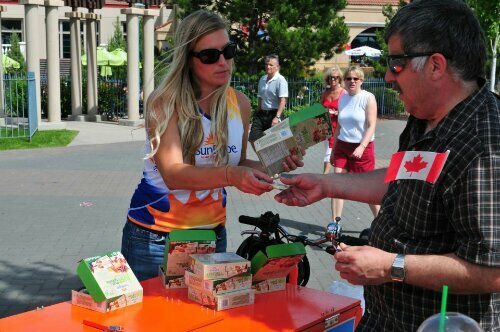 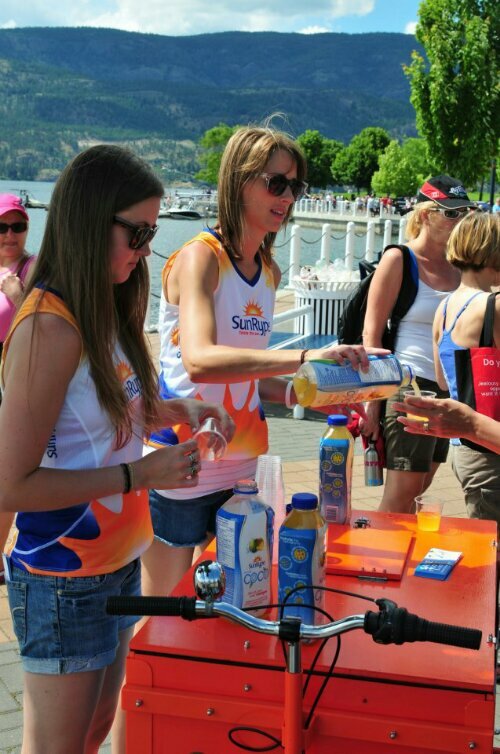 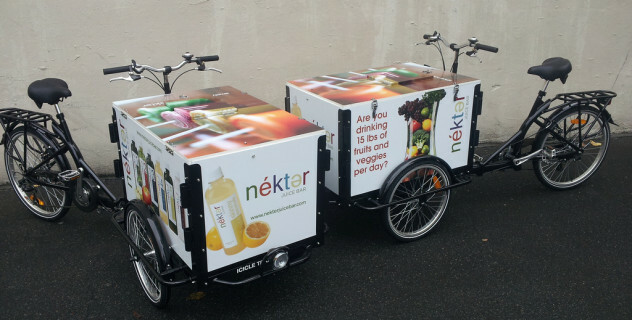 A superb way to market the health benefits of fruit and vegetable juice, our Juice Bike is economical and promotes an environmentally sustainable form of business. 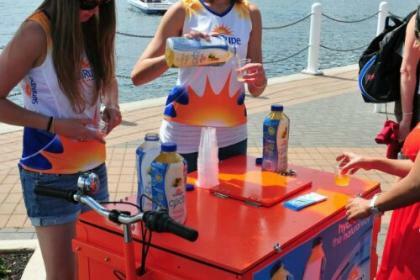 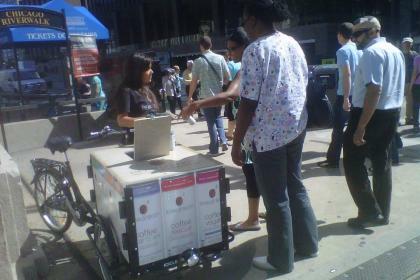 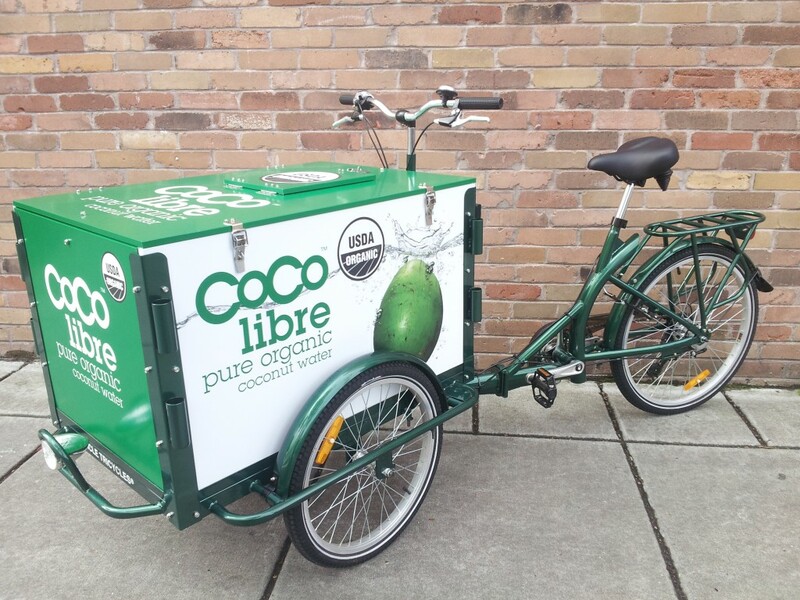 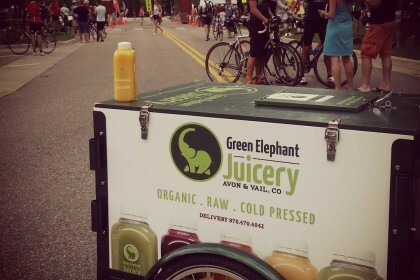 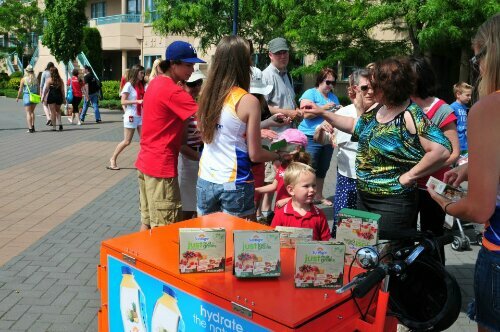 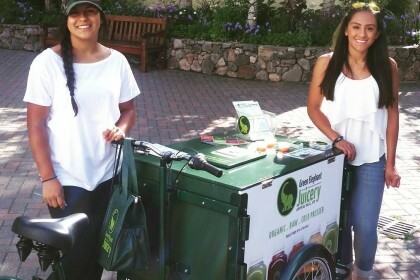 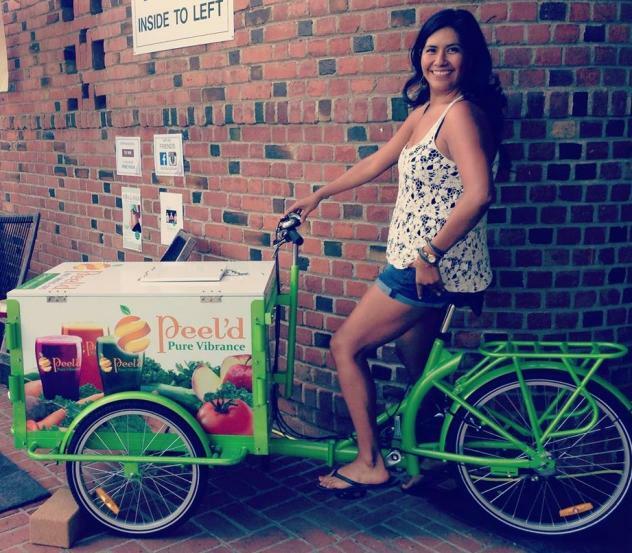 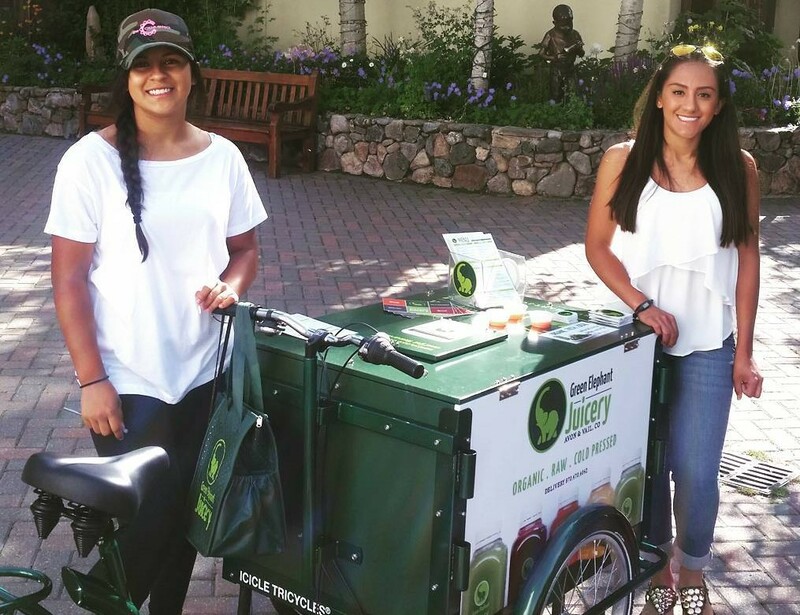 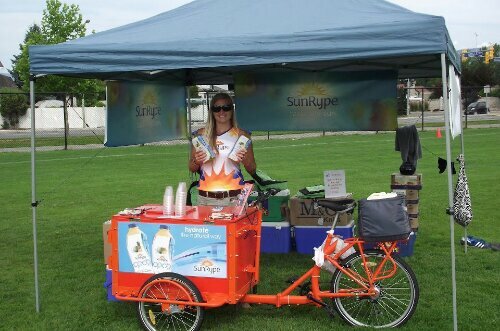 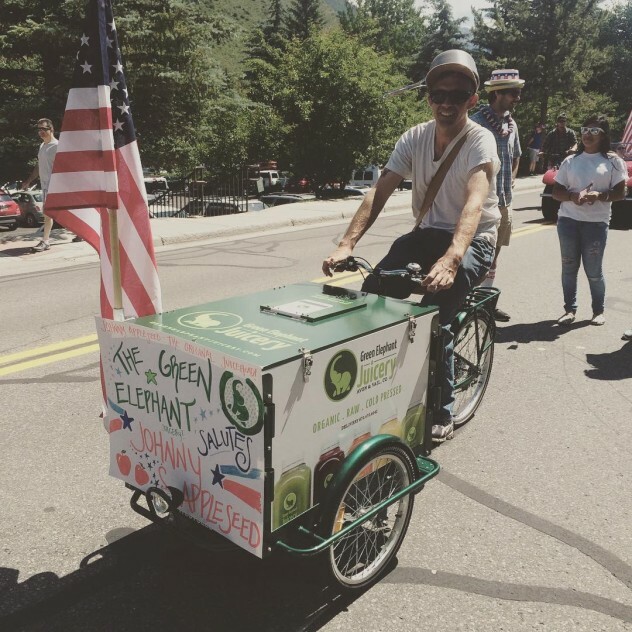 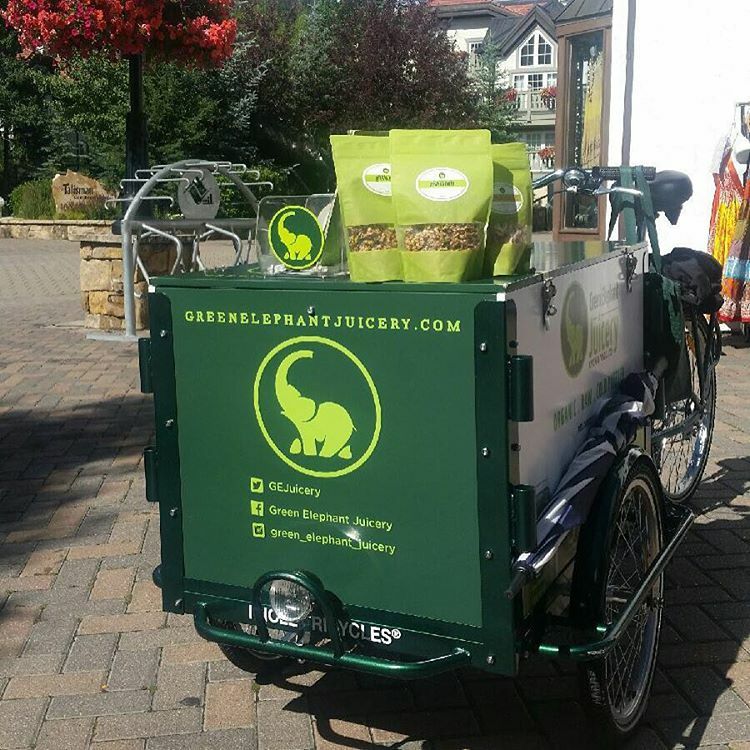 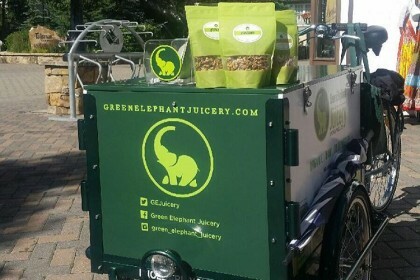 If you’re interested in juice and doing business in the juice industry, an Ice Trike Juice Bar Bike is a great solution for marketing, vending, and distribution. 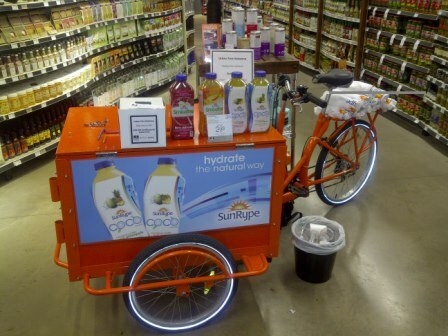 Juice marketing you can pedal! 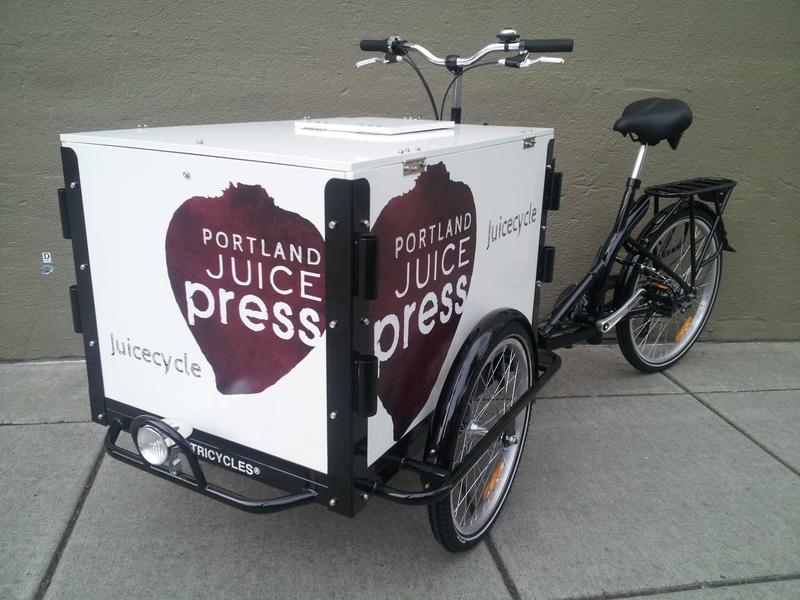 Icicle Tricycles can add custom graphics to your Juice Bike for branding. 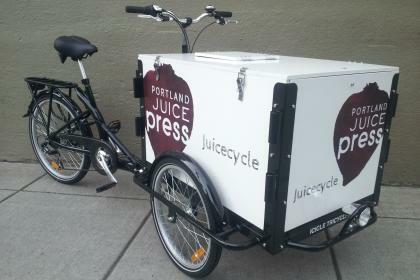 We work with both small and large companies, distributors, and anyone looking to build custom juice bar bikes – smoothie bikes, cocktail bikes, kombucha bikes, and more! 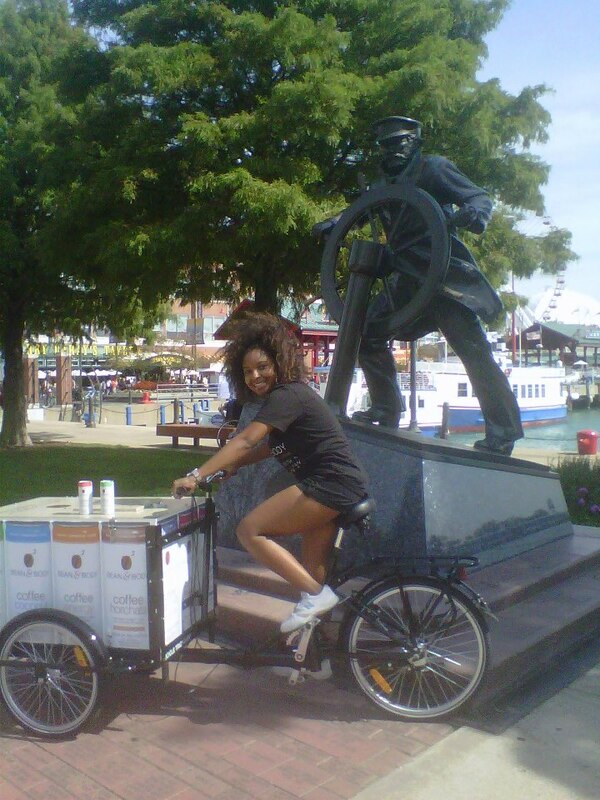 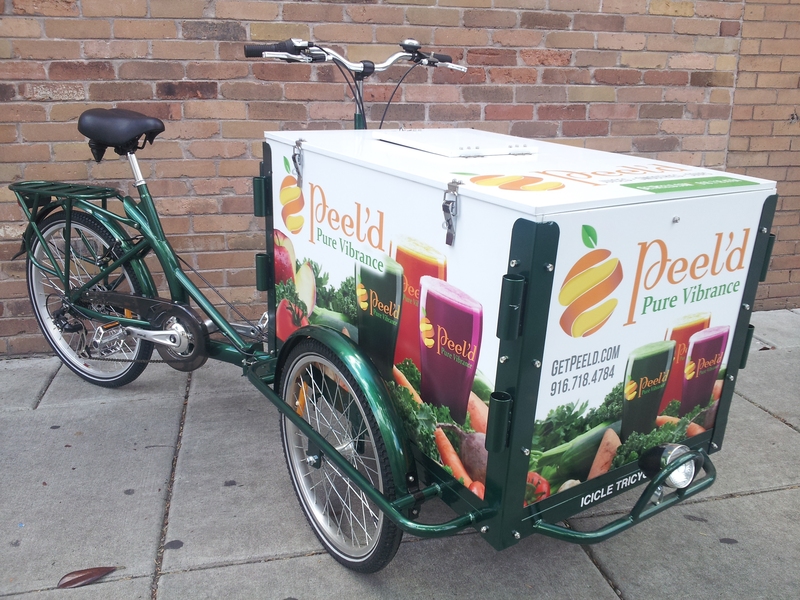 Each Icicle Tricycles Mobile Juice Bar Bike is custom built for serving vegetable and fruit juice. 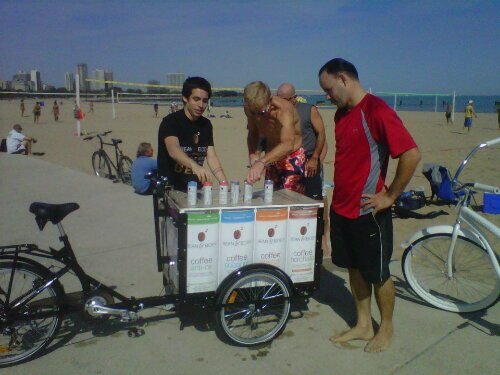 We offer a variety of methods to keep things cool! 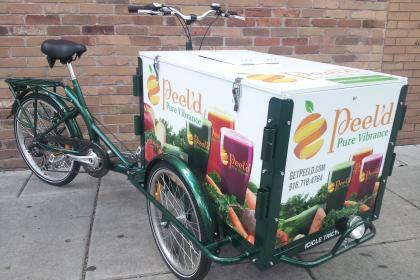 Be it our famous insulation package or a nitro system to pull fresh, cold juice right from a spigot! 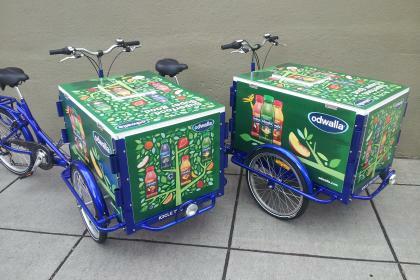 Icicle Tricycles can plumb multiple taps for different kinds of juices. 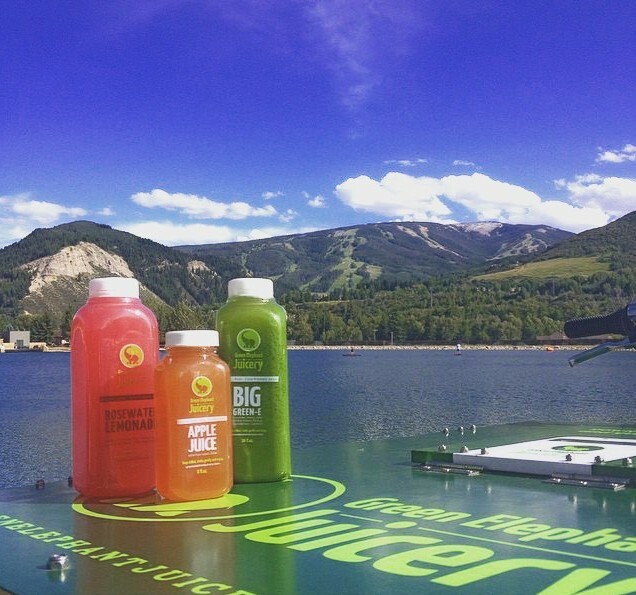 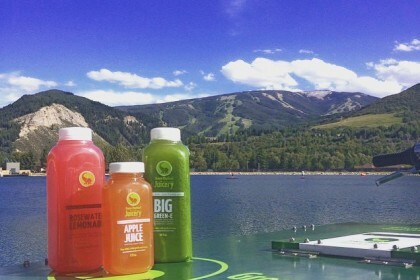 If you’re in the juice business, it’s safe to say you’re passionate about health and wellness. 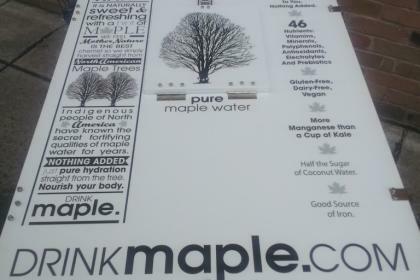 So are we! 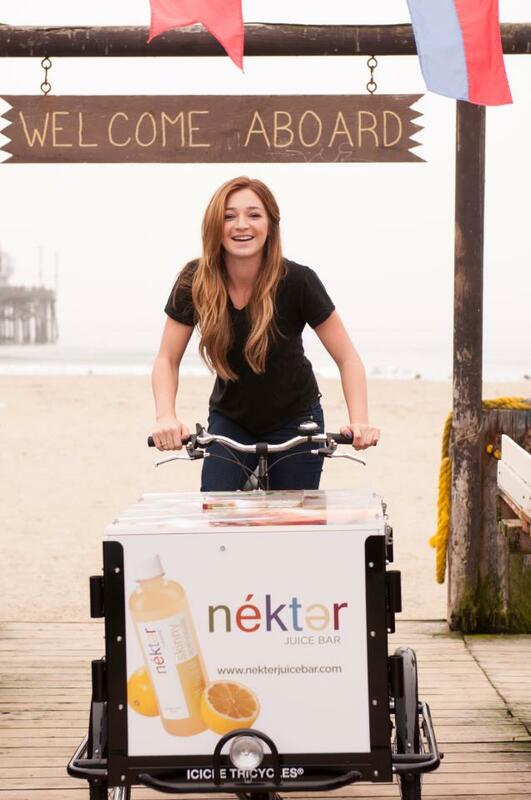 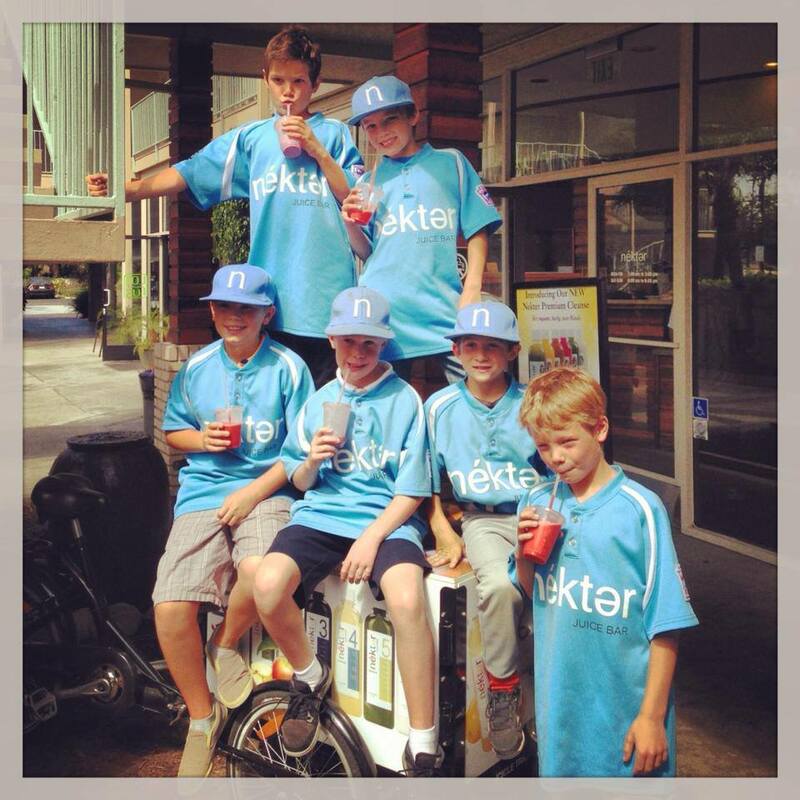 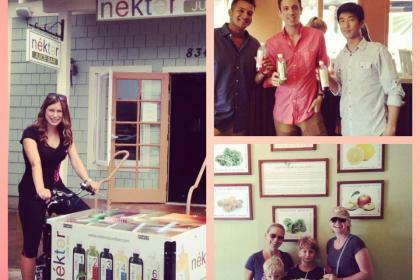 Pedal and drink your way to health and happiness with an IceTrike! 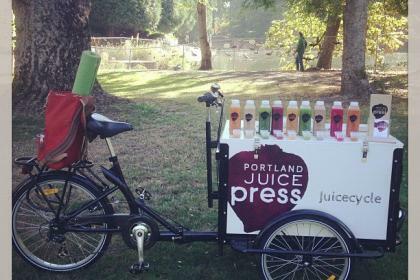 Our Juice Bikes are a great way to quench the thirst for fresh nutrients, as well as a great tool for shaping up leg muscles. 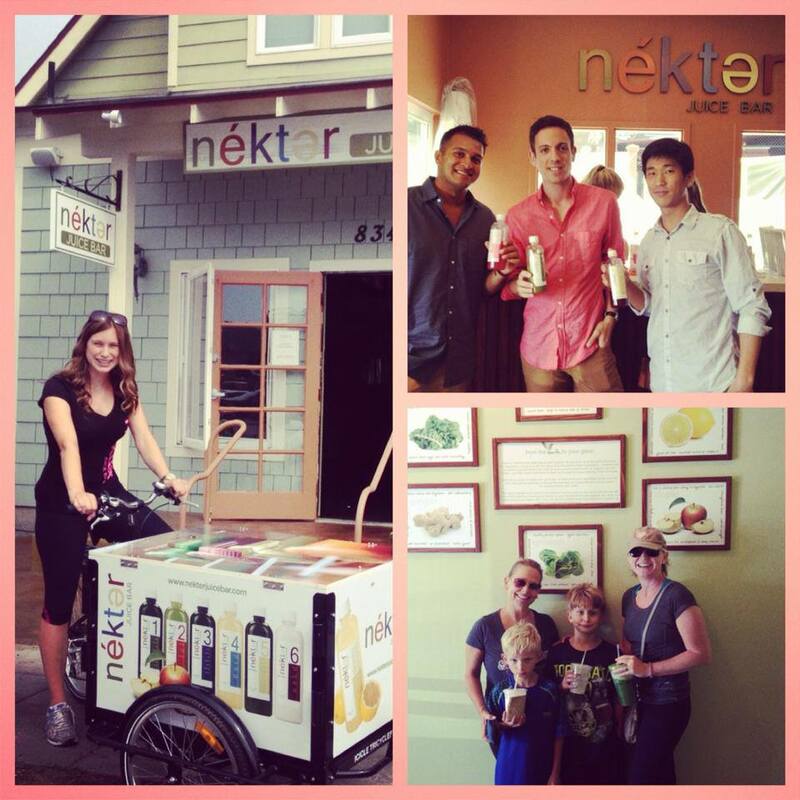 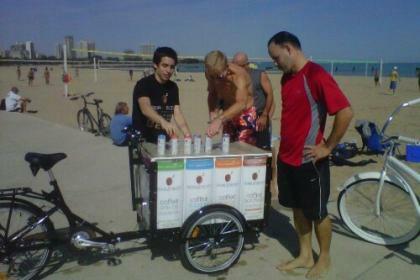 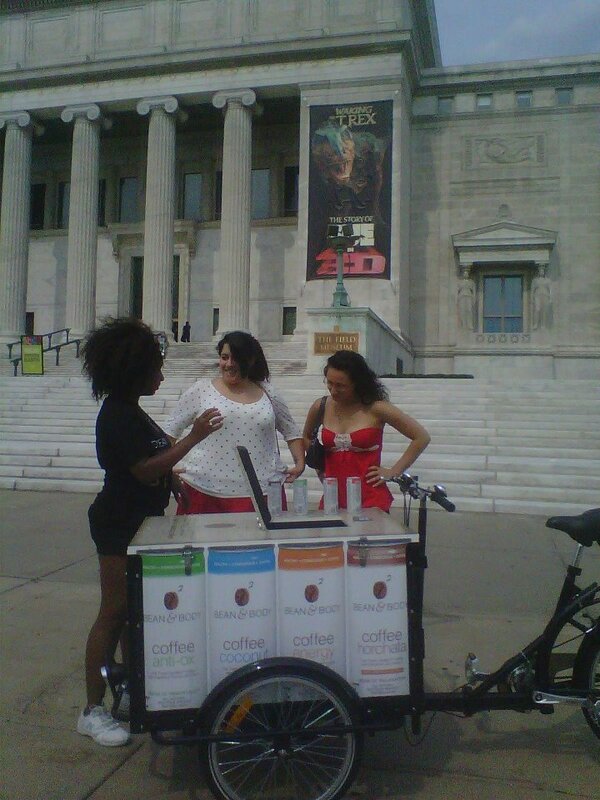 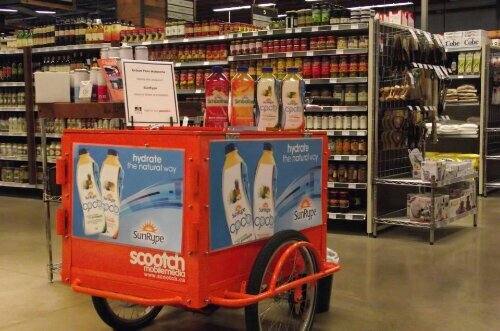 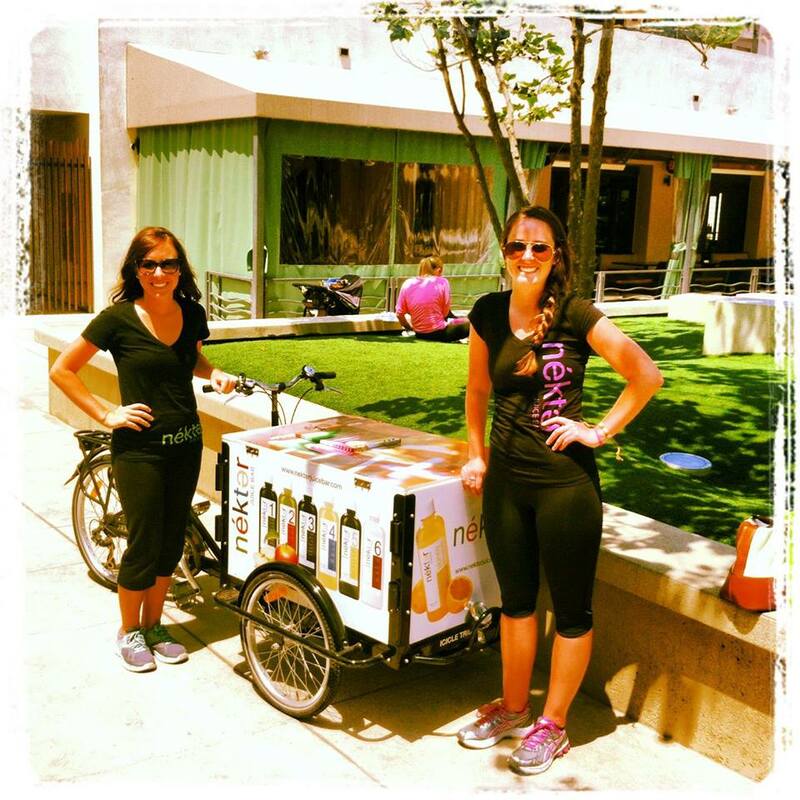 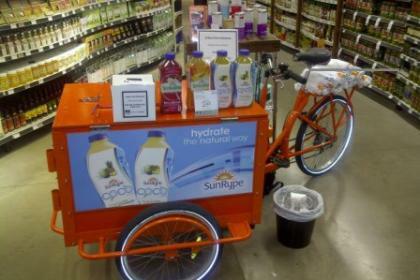 Combine eco-friendly, customized variety, and pedal powered mobility together for a knockout mobile juice bar. 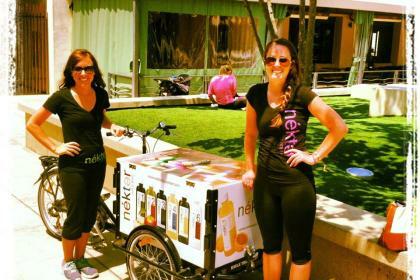 Pedal to health! 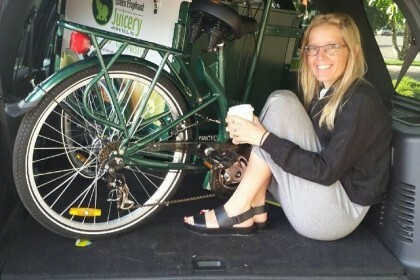 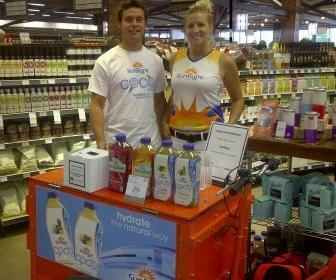 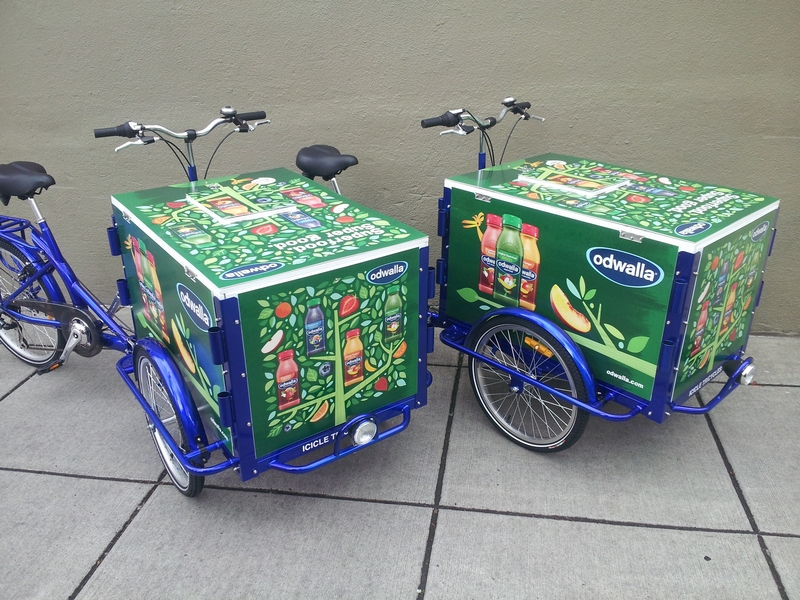 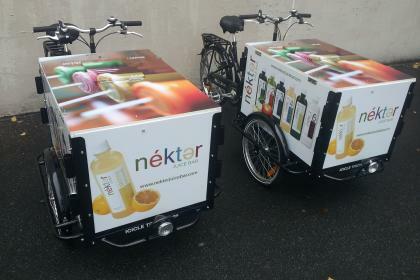 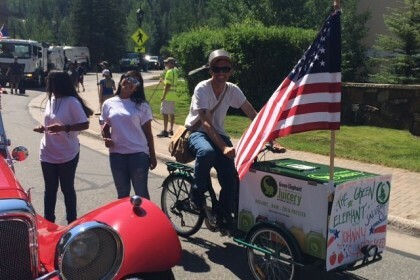 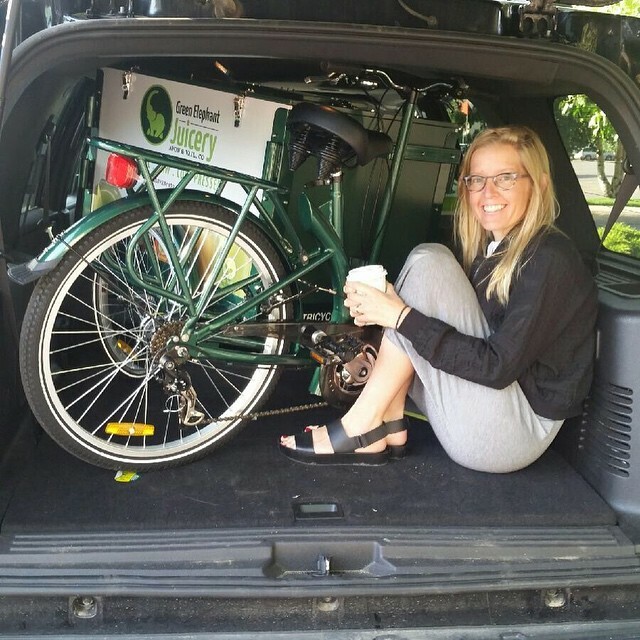 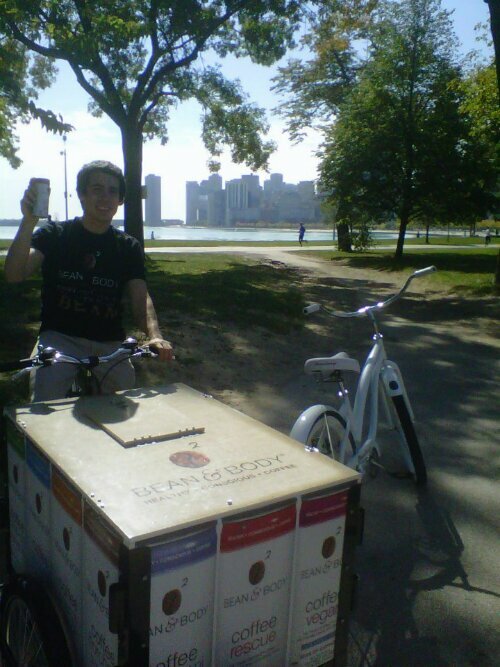 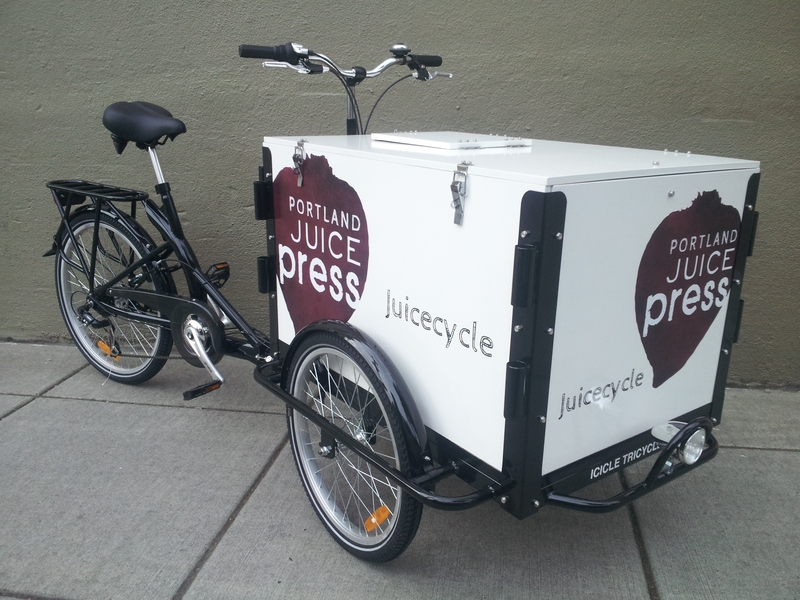 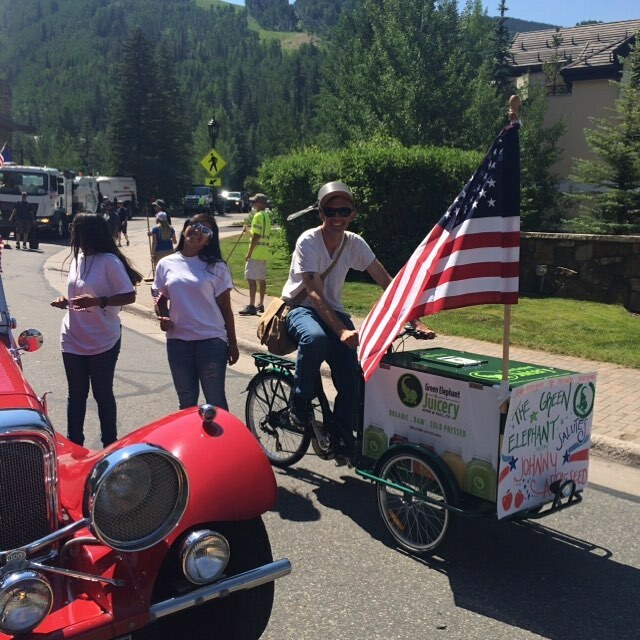 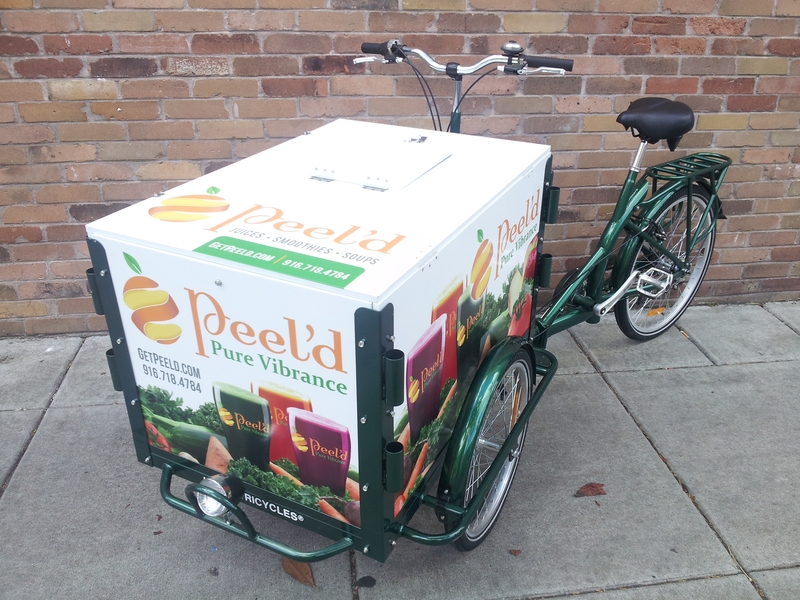 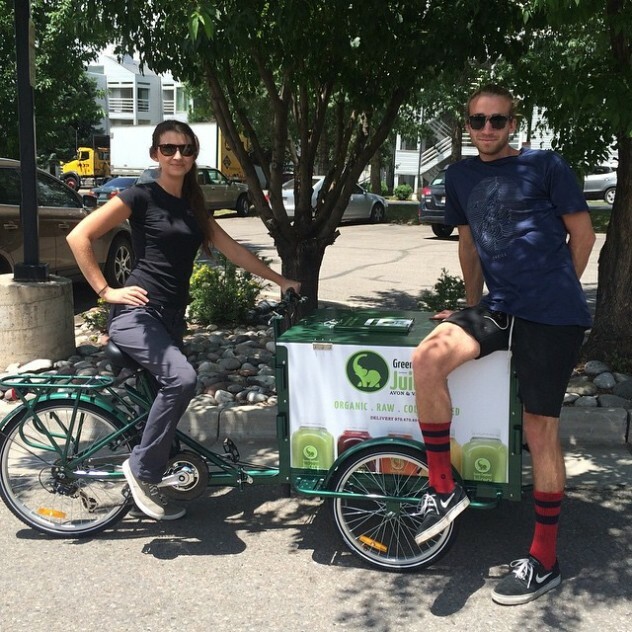 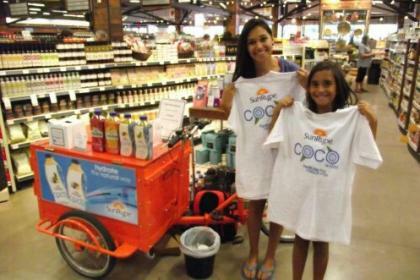 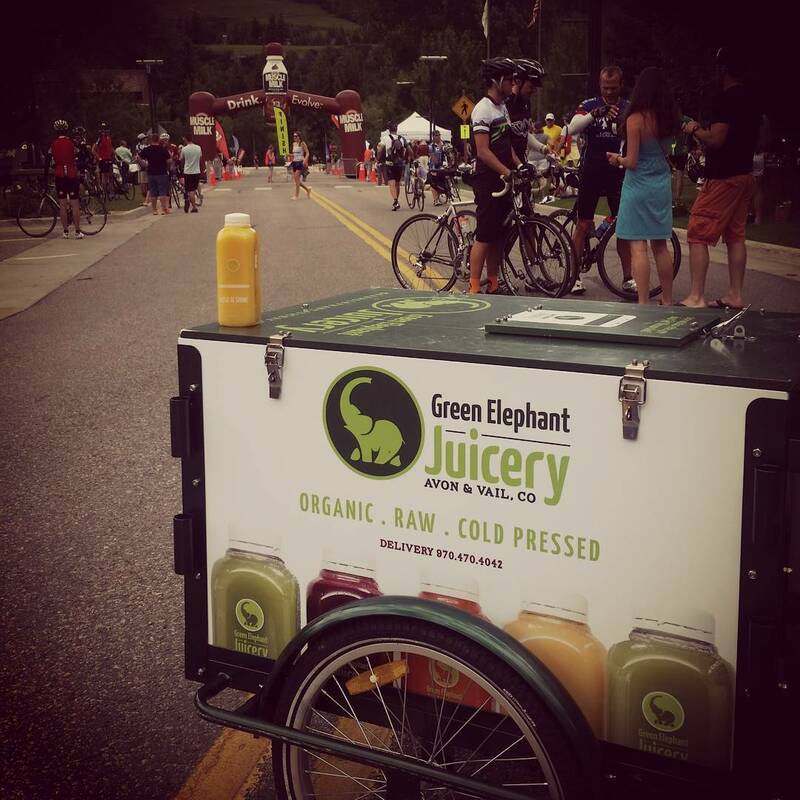 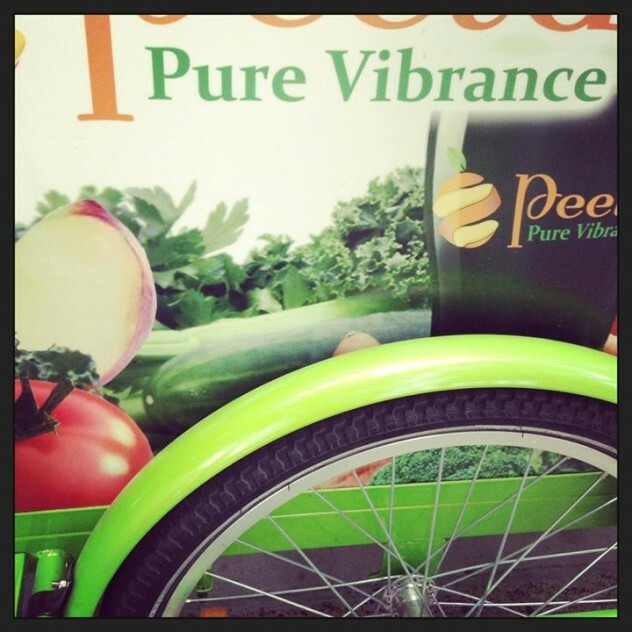 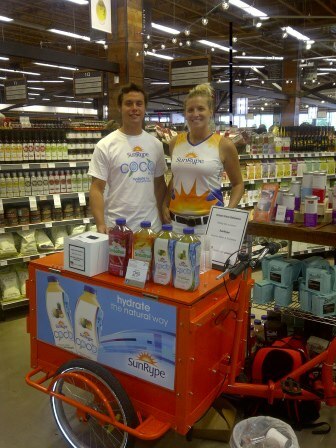 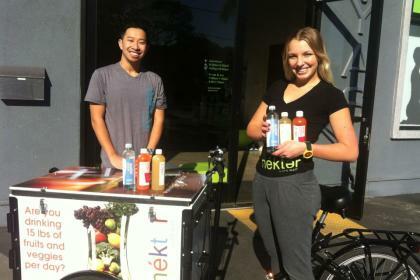 We’d love to help get your juice business rolling with an IceTrike Juice Tricycle! 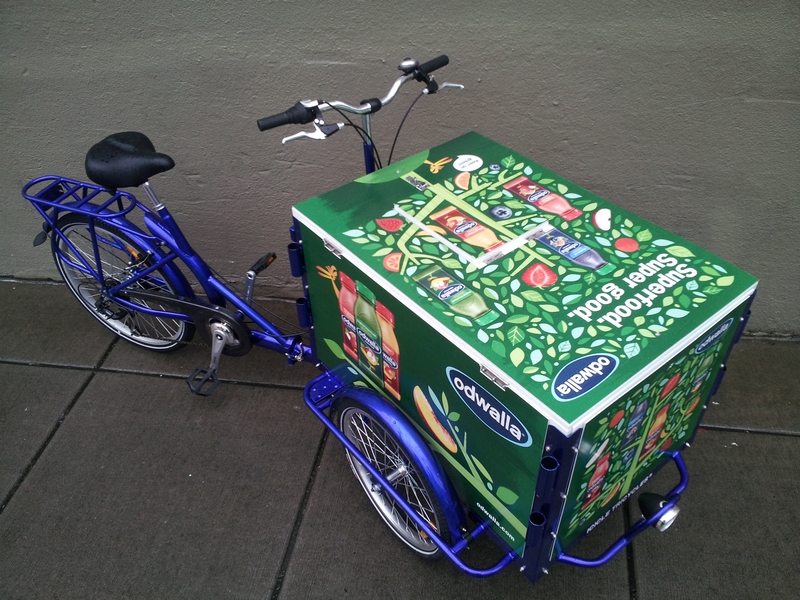 Contact us when you’re ready to roll!